PSST......Did you hear about this rare gem! 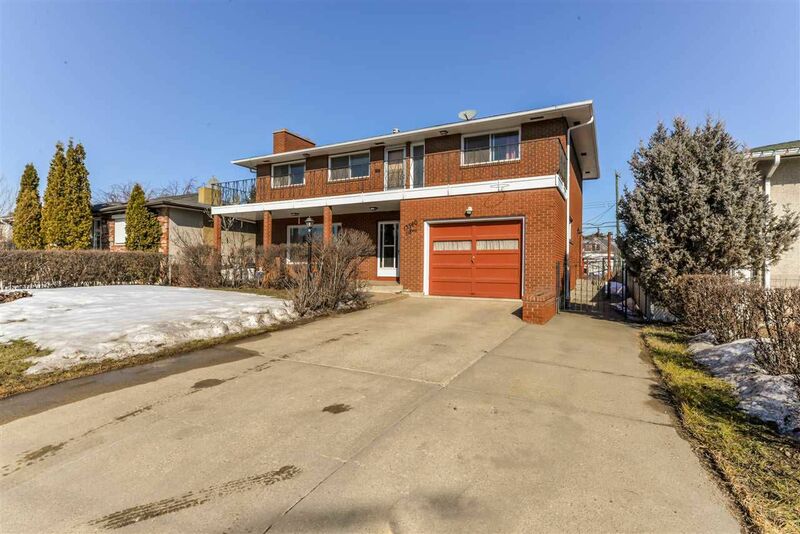 This home is one of the biggest in 2 storey homes in the Dovercourt area. It features 4 good size bedrooms plus a den on the upper level. Wake up and stretch on the upper level south facing balcony. This custom built home is unique and is very solid with lots of exterior Brick work. There is so much potential in this home so let your imagination run wild & own a unique floor plan in a great area. The home has a total of 3 bathrooms & 2 wood-burning fireplaces. You will love the main level with a huge living room, dining room with built in china cabinet, spacious kitchen with eating nook and good size half bath. The basement has a large family room, sauna, bathroom, laundry/storage and cold room. The backyard is huge with a double oversized 26x20 garage. With a attached oversized single garage that is insulated and heated. The backyard has possible RV parking. This type of home doesn't come along very often.....it won't last.